PanGaia depends on its volunteer staff to run effectively. We need volunteers for many different tasks with various levels of physical and mental demands. Please know your limitations and only volunteer for positions that you are confident that you can fulfill. A North Western Circles representative will contact you when we receive your application. 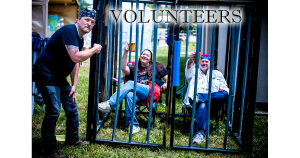 Volunteers must be 18 or older at the time of the festival to apply and must reside in the United States at the time of application.